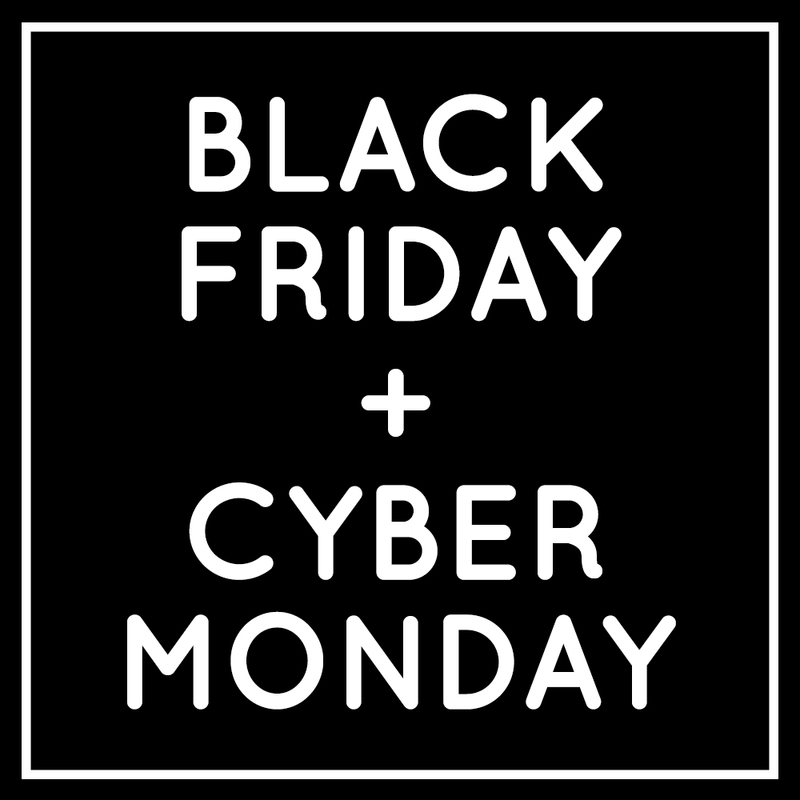 Black Friday and Cyber Monday are here! I’ve rounded up all the deals I could find on cameras, gear, classes, bags, and more! *this post contains affiliate links for your convenience, at no cost to you. I know many moms are on the lookout for a DSLR camera this season. Here’s what you need to understand about Black Friday deals and DSLR cameras. You have to understand that Nikon and Canon set the prices across the board. So you aren’t going to find an amazing dollar off deal, because no one is allowed to sell lower than the price the brand sets. But, the deal you will see is a DSLR Camera that comes with TWO lenses. Now, it may seem like an awesome deal that you’re getting another lens, and that lens works well in certain situations. However, it is not the most useful lens for moms who want to take pictures of their kids indoros. Read this post to understand why that holiday bundled-lens deal isn’t super useful for moms. Hint: that zoom lens is so “zoomed in” that you won’t be able to use it indoors. It will feel like binouculars! You won’t be able to get a full-length shot of your kid unless you have 30+ ft to back up. Plus, it will struggle in low-light situations, like homes and schools, because it’s maximum aperture is only f/4-f/5.6. In the photography world, this is called a “slow lens” because it needs SO much light to function. So, I’m not saying it’s not a good deal to get a bundle deal this weekend – I just want you to recognize that the bonus lens is not what something I recommend for moms who want to photograph their kids. If you don’t want to brave the crowds, I would just buy the same camera on Amazon instead and get the fast prime I really needed! So here, are the DSLR Camera deals I’m seeing this year. I’ve pointed out where you can get each camera – and when to recognize that it might be worth getting it on Amazon instead of braving the crowds! In this case, the 2 lens bundle is slightly higher priced on Amazon, but you’d avoid the hassle of the lines: Canon Rebel T6. You could save $50 by getting it in-store, and then get the the 50mm prime online. Read more about why I recommend this combo in this post. Another option is to get the bundle at Costco online! They added that third prime lens that I recommended above for a total of $679, AND a camera bag and memory card. Deal runs 11/22-11/26-: it’s found on the Costco flier here: the Canon Rebel T6 with 3 Lens Bundle for $679. This is a newer, better camera than the one listed above. It has the regular kit lens (18-55mm) and then a 50-250 zoom lens. It’s on sale at Best Buy, with memory card and additional $25 Shutterfly credit. However, I’d recommend you skip the lines and grab the camera with kit lens and a TON of extras on Amazon, effectively skipping that two-lens deal but spending your money on the 50 mm lens instead. The Nikon D3400 is an entry-level DSLR. It comes with the regular kit lens (18-55mm f/3.5-5.6) and the 70-300mm f/4.5-6.3 zoom lens. Or, skip the line and grab the camera with just the kit lens for the exact same price. You can watch for the bundled version to go on sale, but I recommend getting the 35mm prime instead of the long zoom! This camera is the big step-up from basic model. Best Buy has the Nikon D7200 with 18-55mm and 70-300mm lenses for $999.99. However, I’d be super tempted to get this deal on Amazon instead – it includes the 35 mm prime lens I recommend for less than you could get them separately! Guys, this is the camera I own and love! It’s not entry level, by price or capabilities, but you could absolutely learn to use it. Especially because it’s 40% off, which is incredible! Adorama has it for a screaming $936 off, PLUS a bunch of extras – battery, memory card, cleaning kit, basic bag, etc. It also has additional battery grip (a $485 add-on). I bought my camera through Adorama above and had no problems whatsoever – Adorama is well known in the camera world for great service and warranties. If you’re ready to take your photography seriously, that’s the camera I would recommend. You can also get it for the same price on Amazon here, except it doesn’t have all those extras. Your choice! A Mom’s Guide To Better Photos – This class is especially for moms who aren’t ready to learn manual mode, but still want to take better pictures of their kids. For any type of camera: phone, point & shoot, or DSLR on auto! Use code “GRATEFUL18” to save 50%! Ends Nov 30. Family Films With Sam – Rady to up your game for little family videos? I highly suggest this short course about taking beautiful, intentional videos of your family. Use code MEG to save $5 off her the $40 price this weekend. 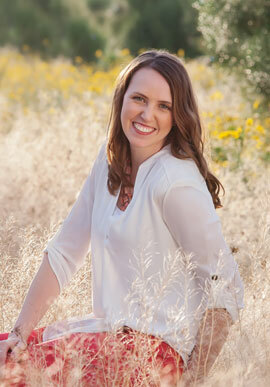 Craftsy Photography Classes – Craftsy has specialized classes on different aspects of photography. I’m partial to this family photography class and this creative photography one, but there are lots of specific topic classes! Even cake decorating, knitting, cooking, quiliting, etc. All classes $15 or less, no coupon needed. Adobe Photoshop / Lightroom Creative Cloud Subscription – Photoshop and Lightroom are part of the Adobe Creative Cloud. You can get them for 9.99/month with the Photography CPlan, but right now, the whole Creative Cloud is on sale too! If you want to do more than just edit photos, you will love Illustrator, InDesign, and the other programs in the CC subscription. The only deal I ever see on this is on Black Friday, when they offer 25% off your first year of service. It’s usually $49.99 a month, but it’s only 39.99/month for the next 12 months if you subscribe before November 23! Adobe Photoshop Elements 2018 – If you don’t need the full version of Photoshop, this is a great place to start. It has most of the Photoshop editing capabilities at a one-time price. Less than $100! 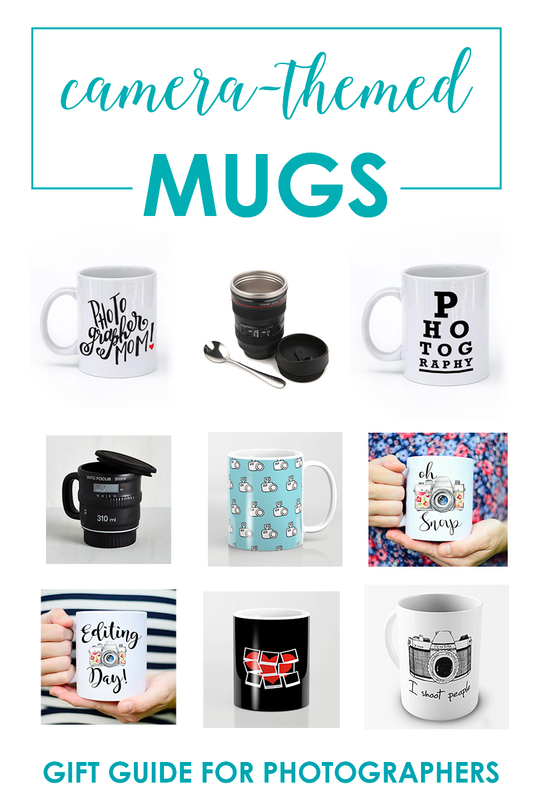 Click & Co Store – this online store has adorable things for female photographers! free domestic shipping this weekend, and possible percentage off code coming soon. You can also use code SNAPHAPPY to save 25% on a tshirt and year magazine subscription. Must have both items in cart, only shirt and magazine will be discounted. See this post for more information. Amazon – has a tons of deals on Camera and Photo Gear. You can check them out here: there are too many to list! JoTotes Camera Bags – I love my Butterscotch Gracie camera bag from Jototes – I use it like a purse when I go somewhere nice and want to have my camera with me. All bags on sale, some 60% off. Best deal is the black Abby bag for $59. Shutterbag – These are HIGH-END bags, but they are gorgeous! If you’re a serious shooter with an eye for quality, take a look at these leather camera bags for women. Everything marked down, great prices! There are so many cute straps available right now! Floral on Navy with Leather Accent – my sister-in-law has this strap and it’s adorable! 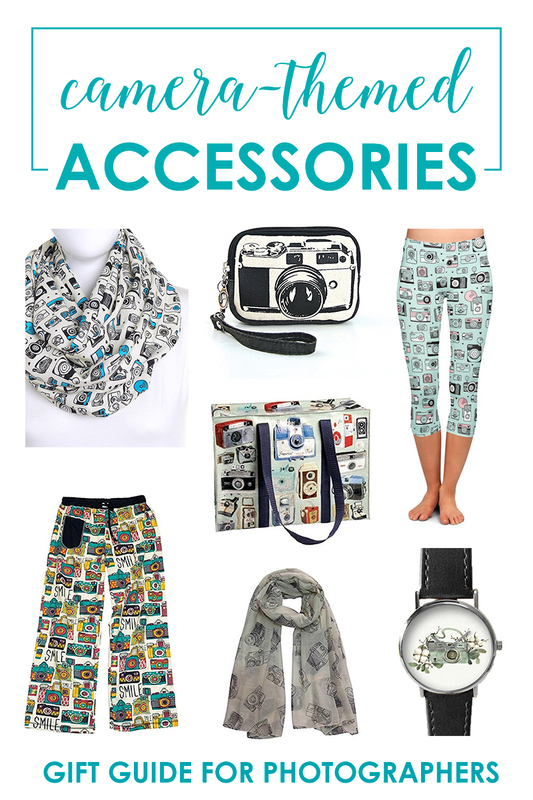 Scarf Straps – so many styles on this link, but I loved this powder blue one! Black and White Stripes – I just cannot resist a good stripe. Floral Scarf Strap – if you’re worried about comfort, scarf style straps are way more comfortable than leather or nylon! Polka Dots – love this cute dots! Chatbooks – My very favorite place to make EASY photobooks and holiday cards! Access the online version or download the app here: Chatbooks and then use code SNAPHAPPY20 to get 20% off everything! External Hard Drive – This is a great time to buy an external hard drive for storage! I have this Seagate Backup Plus Slim 4 TB Portable Drive – and I love it because it’s slim and phantom powered (not finicky cords!). I also saw that same one at Costco, so check there too! A Simplified Life – an uplifting book from one of my favorite mamas. Has actionable strategies for deciding what’s important to you and how to make time for it! The hardcover book is less than $10. There’s also an interesting Dot + Ring doorbell deal to check out here. Instant Pot – This is a LIFE-CHANGING device! It’s a pressure-cooker, slow-cooker, rice-cooker, and more… it saves me at dinner time almost daily. The 6 qt is for 4-6 people, and the 8 qt is for 6+ people. Amazon – The 8 qt is the same price as the 6 qt right now! Unicorn Pool Float – Don’t we all want one of these? Cricut Explore – This machine lets you cut things super easily – vinyl, paper, and more! Usually $300 but less than $200 now. Kindle Paperwhite – I can’t tell you how much I love my Kindle! I keep it in my purse and steal a few minutes in the line at school pick up or waiting at the doctor’s office, as well as at night when I can’t sleep. The Paperwhite is so much easier on the eyes than the regular version! The old version of the Paperwhite is on a crazy deal, and then the new, waterproof one is discounted too! Super cute fairy lights – These decorative fairy lights are super fun for bokeh pictures of kids. USUALLY GO ON FLASH SALE! Fidget Cube – more than a spinner – this cube has different mechanisms to keep hands busy. Great stocking stuffer in a two-pack! I also thought these infinity cubes would be fun in a stocking. MagnaTiles (off brand – we have these and like them) – If I could keep one toy and sell all the rest, this is the one I would keep. Suspend Family Game – we played this last year on New Year’s Eve and it was great for the whole family! Melissa & Doug Magnetic Advent Calendar – Super fun and great for kiddos! 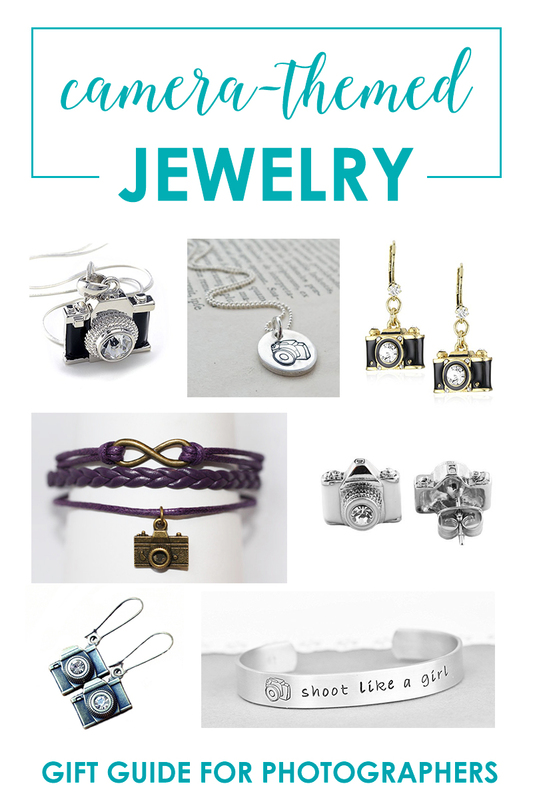 If you didn’t find the perfect gift in this post, check out the my photographer gift guides! I swear it looks like you found every deal on the planet here, this is so awesome!!! I think my fave are the bags. The JoTotes are so cute and can seriously hold everything. Thanks for compiling and sharing all of this!! !